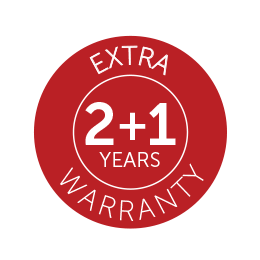 Allview Extrawarranty insures one year of warranty for your product after the end of the standard period of warranty coverage . This service is optional and can be purchased by any client , individual or company , who buys Allview products from Allview website . Allview extrawarranty can be purchased in maximum one month after the purchase of an Allview device. This service covers only the products that it has been purchased for , products identified by Serial Number , by original warranty card and invoice (the original or a copy) . Product has to be presented in original configuration without alterations , damages or unauthorised interventions . If an Allview product is faulty from start and an extrawarranty has been purchased for it , the product will be replaced and the extrawarranty will be transfered to the new product in the same terms and conditions . Allview Extrawarranty is an optional , chargeable service, offered by Allview. Allview Extrawarranty respects legislation regarding consumer’s protection and rights . In order to benefit of Allview Extrawarranty you have to present the warranty card of the product and the proof of purchase ( invoice , etc) .